Best HypnoBirthing Tiffany Timmins Metro Detroit What is HypnoBirthing? The HypnoBirthing® Childbirth method is as much a philosophy of birth as it is a technique for achieving a satisfying, relaxing, and stress-free method of birthing. HypnoBirthing® teaches you, along with your birthing companion, the art and joy of experiencing birth in a more comfortable manner. You will learn to call upon your body’s own natural relaxant and thus lessen or eliminate discomfort and the need for medication. When a woman is properly prepared for childbirth and when mind and body are in harmony, nature is free to function in the same well-designed manner that it does with all other creatures. You will be fascinated as you view HypnoBirthing® films showing laboring mothers, awake, alert and in good humor as they experience the kind of gentle birth that you, too, can know when you are free of the Fear-Tension-Pain Syndrome. HypnoBirthing® teaches you to release all prior programming about birth, how to trust your body and work with it, as well as how to free yourself of harmful emotions that lead to pain-causing fear and unyielding muscles. 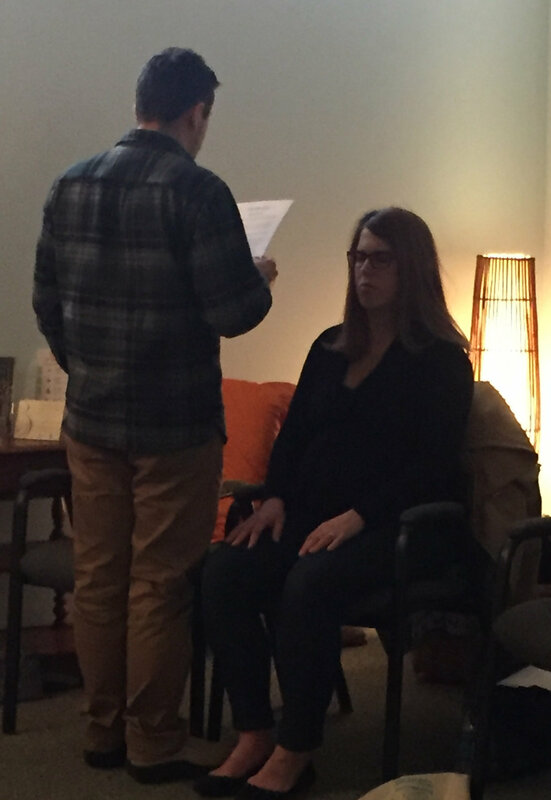 HypnoBirthing® will teach you the art of using your own natural birthing instincts. With HypnoBirthing®, you will be aware and fully in control, but profoundly relaxed. Lots of practice in class. Then practice continues, until it’s time for your baby to be born! Parents in deep relaxation practice!